Representing one third of Australia's huge territory, Western Australia is the biggest State of the country. Its capital, Perth, is the most isolated metropolis of the modern world! This city is renowned for its relaxed lifestyle. 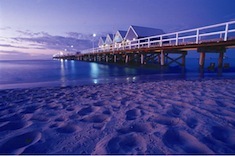 The region surrounding Perth is full of magnificent forests and amazing coastal landscapes. To the east of the city, the wheat fields are quickly followed by the deserts and the gold fields of the vast Nullarbor Plain. To the south, you will find the internationally-renowned wine region of Margaret River. 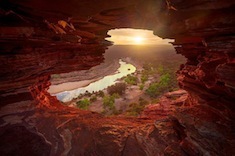 The north is very sparsely populated, but holds some great treasures, such as the coral reefs of Shark Bay, the odd Pinnacle Desert, the deep Kimberley Gorges and the surprising Bungle Bungles. Land of contrasts, Western Australia is a must-do for wilderness and nature lovers!